Our Team Cleans All Rug Types! We clean all rug types! The Hadeed team is excited to bring quality cleaning services to everyone. 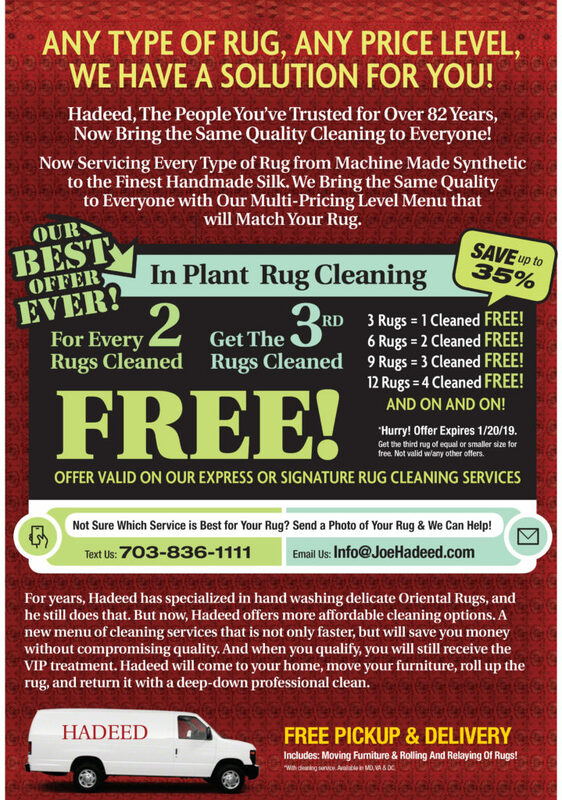 From machine-made synthetic rugs to handwoven rugs, we will choose the right cleaning option for your precious rugs. Contact us today for free delivery and pick up of your rug in Springfield, VA!